Q. Can I get my indictment dismissed? Yes, but dismissals are rare. A federal indictment can be challenged a number of different ways. For example, if the indictment does not allege an actual crime, it is defective and must be dismissed. A perfect example of this in recent years concerns the ongoing litigation about what is or is not a crime of violence. Title 18 U.S.C. § 924(c) criminalizes the possession of a firearm in furtherance of a crime of violence, but the Supreme Court and Fourth Circuit have narrowed the range of crimes that satisfy the crime of violence definition. So, if an indictment alleges the commission of a crime of violence when, as a matter of law, the offense conduct does not satisfy the statutory definition, that part of the indictment is defective and must be dismissed. An indictment also may be defective if it alleges criminal conduct that is outside of the statute of limitations, fails to provide adequate notice of the criminal charges, or fails to plead all of the elements of a crime. Q. 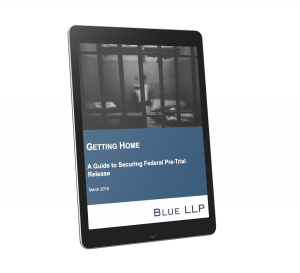 If I am charged with a federal crime, will I go to jail or can I get released before trial? Pre-trial detention is common for violent crimes, serious drug trafficking crimes, and cases in which the defendant is a flight risk. In many other types of cases, however, a defendant can be released while his or her case is pending. We have written an extensive free guide on this issue, available for download here.